On April 10, 2019, the Board of Directors (the \”Board\”) of Facebook, Inc. (the \”Company\”) approved and adopted an updated form of indemnification agreement to be entered into by the Company with its directors, executive officers and certain other key employees (the \”Indemnification Agreement\”). The Indemnification Agreement was adopted in order to incorporate certain updates that reflect current market indemnification practices and will supersede any previous indemnification agreement entered into by the Company with the respective director, executive officer or other key employee. As is the case with the Company\’s previous form of indemnification agreement, the Indemnification Agreement requires the Company to indemnify the counterparty, to the fullest extent permitted by law, for certain expenses, including attorneys\’ fees, judgments, penalties, fines and settlement amounts actually and reasonably incurred in any action or proceeding arising out of such party\’s status as a service provider to the Company or one of its subsidiaries or any other company or enterprise to which service is provided at the Company\’s request. The foregoing summary and description of the provisions of the Indemnification Agreement does not purport to be complete and is qualified in its entirety by reference to the full text of the Indemnification Agreement, a copy of which is filed as Exhibit 10.1 with this Current Report on Form 8-K and is incorporated herein by reference. 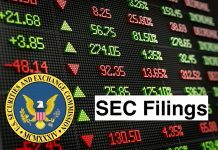 On April 10, 2019, the Board amended and restated the Company\’s bylaws (the \”Amended and Restated Bylaws\”) to, among other things, incorporate additional requirements, or make clarifications, to the advance notice and other procedural requirements related to stockholder nominations for election of directors or proposals of business at the Company\’s stockholder meetings; make certain other changes in line with current market practices; and eliminate certain provisions that are no longer applicable to the Company. The foregoing summary and description of the provisions of the Amended and Restated Bylaws does not purport to be complete and is qualified in its entirety by reference to the full text of the Amended and Restated Bylaws, a copy of which is filed as Exhibit 3.1 with this Current Report on Form 8-K and is incorporated herein by reference. In addition, a marked copy of the Amended and Restated Bylaws showing all changes made to the Company\’s prior bylaws is attached as Exhibit 3.2. Facebook, Inc. builds products that enable people to connect and share through mobile devices and personal computers. The Company enables people to share their opinions, ideas, photos and videos, and other activities. Its products include Facebook, Instagram, Messenger, WhatsApp and Oculus. Facebook is a mobile application and Website that enables people to connect, share, discover and communicate with each other on mobile devices and personal computers. Instagram is a mobile application that enables people to take photos or videos, customize them with filter effects, and share them with friends and followers in a photo feed or send them to friends. Messenger is a messaging application available for mobile and Web on various platforms and devices. WhatsApp Messenger is a mobile messaging application that is used by people around the world. Oculus virtual reality technology and content platform allows people to play games, consume content and connect with others.